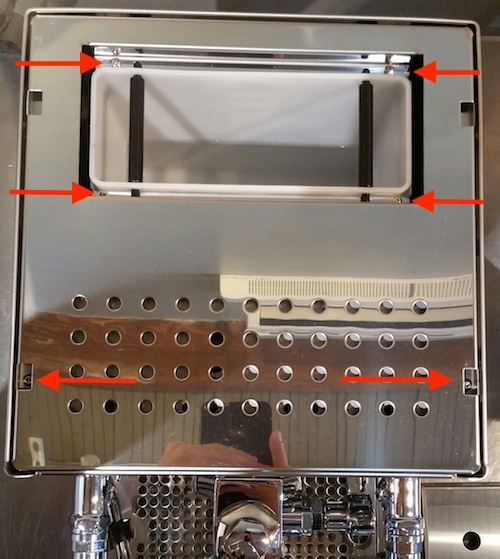 If you find that the inner colored panel of your Rocket Appartamento espresso machine has shifted, the instructions below will detail how to adjust the panel so that it is positioned correctly. 1. Remove the top panel of the Appartamento. You will need to remove the water tank before removing the screws around the water tank. 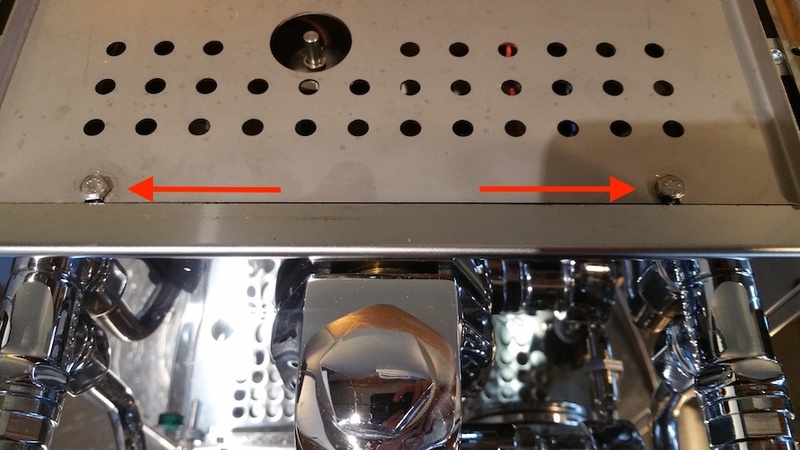 You will also need to remove the cup rail from the top of the machine. There are 6 screws total. 2. Remove the inner top panel from the machine. You will only need to loosen the hex nuts here, the panel will slide out without fully removing them. 3. There are 2 screws holding in the long tabs that hold the inner panel in place. 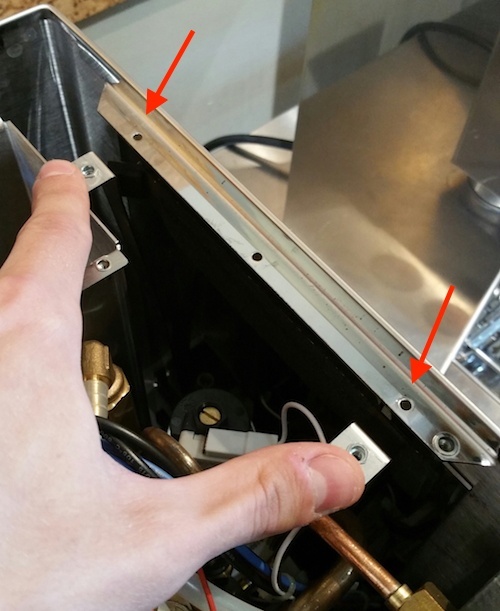 When you remove the screws, hold the tabs out as shown in the picture, and you should be able to use your other hand to adjust the panel back to the center. Push the tabs back into place when the panel is centered and put the screws back in to secure it in place. 4. Reinstall the inner top panel, then the top panel - and you're finished!